Here come the kids! Are you ready for an exciting service about Father’s Day? Every holiday, I offer my kids a fun crafting opportunity that they can use to gift their families with. Since it’s Dad’s Day, it’s Dad’s turn. We’re currently undergoing some improvements in our facility, and I do like to save money on crafts. Picture frames is one way to do it. I’ve dug up three picture fame crafts for kids. They make sweet gifts for fathers and grandfathers. Macaroni Picture Frames: You need light-colored picture frames for this project. The end product looks better if you can find frames that match the uncooked macaroni. Use spray paint if necessary to get the color you desire. Paint the frames the day before the crafting. Before kids arrive, place a bowl of uncooked macaroni at their table. Show them how to glue macaroni around the picture frame in a decorative manner. Take pictures of kids and print them. Place the picture or a special poem inside the frame. What a great gift! Twig and Paper Picture Book: You need brown cardstock, white copy paper, a stapler, scissors, a small twig and glue. Cut the cardstock and paper into small equal rectangles, about the size of a 3×5 card. Make a picture book with the cardstock as covers and the paper as the pictures. Staple them all together at one short side. Lay the twig across the staples to hide them. Glue the twig into place. 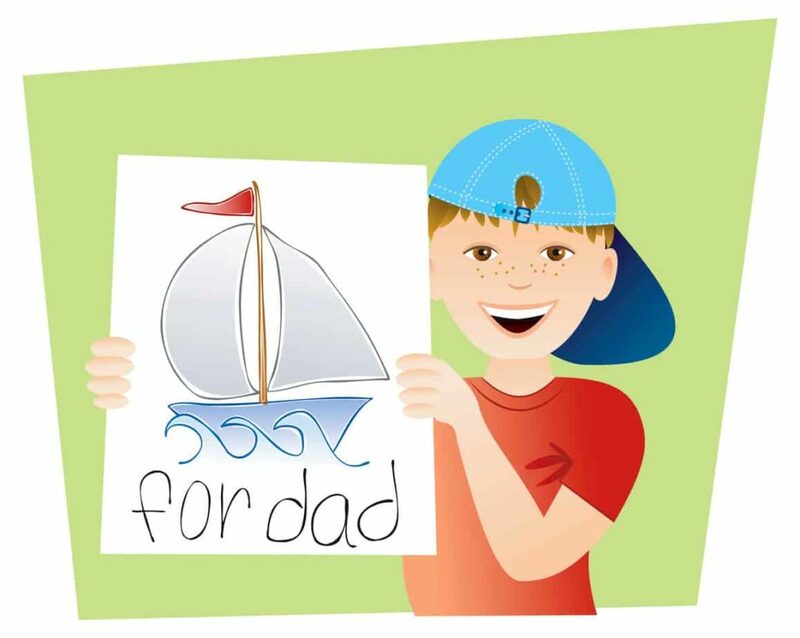 Kids can draw pictures of their dad inside the picture book. Give them suggestions to draw a favorite day with Daddy. Let them write, “DAD” in large letters on the cover with markers. Puzzled About Father’s Day: Wondering what to do with that puzzle that has a gazillion pieces missing? Glue those puzzle pieces around a plain picture frame for something fun and crafty. Use a marker and write, “Dad, you make life complete,” on the bottom of the frame. As a bonus idea, I want to remind you that those popsicle stick frames are good crafts too. Especially if you add handy magnetic to the back of those frames! That’s perfect for hanging pictures on a refrigerator or in Dad’s office. Tony Kummer (Editor) reviewed & updated this page on : June 11, 2013 at 8:28 am. All our content is peer reviewed by our readers, simply leave a comment on any post suggest an update.